More people will more readily do more of a task for which there are higher incentives. In his keynote address at the IUFRO 125th Anniversary Congress in Freiburg, Dr. Agrawal will present findings from a forest-related research project in India that found private incentives have little effect, information has negative effects, and collective incentives have positive effects on recipients. The effects we found, he said, are consistent across motivations, behaviors, and forest condition outcomes. 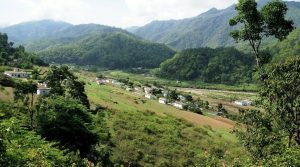 Informing villagers through individual and group discussions about the need for conserving forests – and information-based effort for conservation – had negative impacts. Providing them with small amounts of in-kind private benefits such as seeds, fertilizers, chickens and fencing materials had zero or small negative effects on conservation motivations. But collective benefits such as infrastructure maintenance and watering pints for cattle in different neighborhoods had clear, positive impacts. If that basic assumption is wrong, “it calls into question the foundations of some of the most innovative and promising forest governance and improvement schemes of the 21st century – reducing emissions from deforestation and forest degradation, for example, and more generally, payments for ecosystem services,” he said. His keynote address is entitled The Perverse Outcomes of Incentives for Forest Conservation. the effects of these efforts on the motivations and behavior of target households and also on the condition of the forests that the program sought to govern and protect. “These points are important to make because they suggest the need for caution before we rush to embrace payments for ecosystem services as a general solution for addressing environmental and conservation challenges,” Dr. Agrawal said. “They call into question the ready assumption that human beings are simply rational economic actors, ready to dance to the tune of the holder of the purse strings. “It means that you should test your assumptions for the context in which you are working. Theories are just that. They and their predictions need testing under multiple conditions before large scale implementation. Monitoring policy implementation is critically necessary, and adjustments in implementation even more so,” he said. The findings indicate that incentives are not a panacea; that providing more, better information may not achieve desired goals of conservation and forest management; and that collective incentives may work at times and in some places. So, he cautions, one should look before leaping to embrace the latest flavor-of-the-month in policy making. Dr. Agrawal hopes that some audience members will find the results of the research provocative and will examine assumptions as to what makes human beings think and act the way they do when it comes to the social good of environmental conservation and protection. He also expects that some will not be so inclined, though he hopes that those who disagree with the general thrust of the work will think about the reasons for the findings, and whether there is some basis to wonder if these findings might be relevant elsewhere. Researchers are, on the one hand, skeptical scientists who want solid evidence before drawing general conclusions, he said. On the other hand, many of us also believe that people are essentially good and there is a streak of altruism somewhere in us all. “But I do want to emphasize that many of the features we take for granted as basic human nature – for example, that more human beings do more of a task when presented with higher incentives and better information – may be learned behaviors that are contextually dependent,” he said. 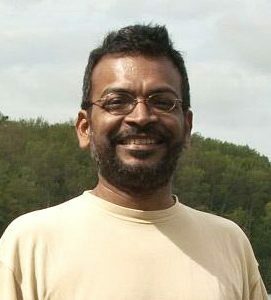 Dr. Agrawal is Samuel Trask Dana Professor of Sustainability and Governance at the School of Natural Resources and Environment at the University of Michigan, Ann Arbor. He also coordinates and is the co-founder of the FLARE (Forests and Livelihoods) community of practice. In addition to teaching, he serves as the editor-in-chief of World Development. Dr. Agrawal is the author of Greener Pastures and Environmentality, and his research has appeared in American Political Science Review, Conservation Biology, Current Anthropology, Science, and World Development among other journals. The September 18-22 Congress in Freiburg will celebrate IUFRO’s 125th anniversary. Founded in 1892 in Eberswalde Germany, IUFRO has grown to unite more than 15,000 scientists (who cooperate in IUFRO on a voluntary basis) in almost 700 member organizations in more than 120 countries. IUFRO promotes global cooperation in forest-related research and enhances the understanding of the ecological, economic and social aspects of forests and trees. It disseminates scientific knowledge to stakeholders and decision-makers and contributes to forest policy and on-the-ground forest management. In "125th Anniversary Congress", "Event", "Interview"